Our mission is to enrich the lives of seniors by supporting Aging Partners. $8 would cover the cost of transportation to and from the fitness center. $10 would pay the monthly fitness center suggested contribution for a low-income older adult. $20 would pay for one hour of personal training services for a low-income older adult. $16 would pay for one month of weekly seated Tai Chi classes. $30 would pay for one Tai Chi or Yoga class for a group of Karen, Sudanese or Yazidis older adult refugees. 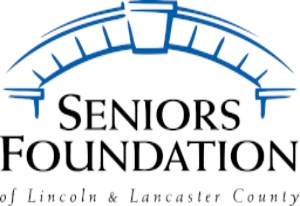 As a result of recent fundraising efforts, the Seniors Foundation was able to donate proceeds to Aging Partners to install a new wheel-chair ramp at Aging Partners' new Seniors activity center/exercise facility. This facility provides numerous seniors in our community a place to stay physically active every day!